You will learn to palpate and identify the location of the 12 primary meridians/channels and the 2 extraordinary Ren and Du meridians as used in Tui Na, shiatsu and acupuncture. You will learn to select and use appropriate techniques for treating the meridians. 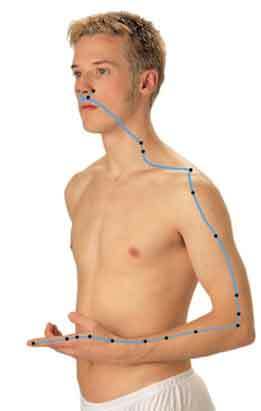 You will learn to locate 100 acupressure/acupuncture points by palpating muscles and other anatomical landmarks. 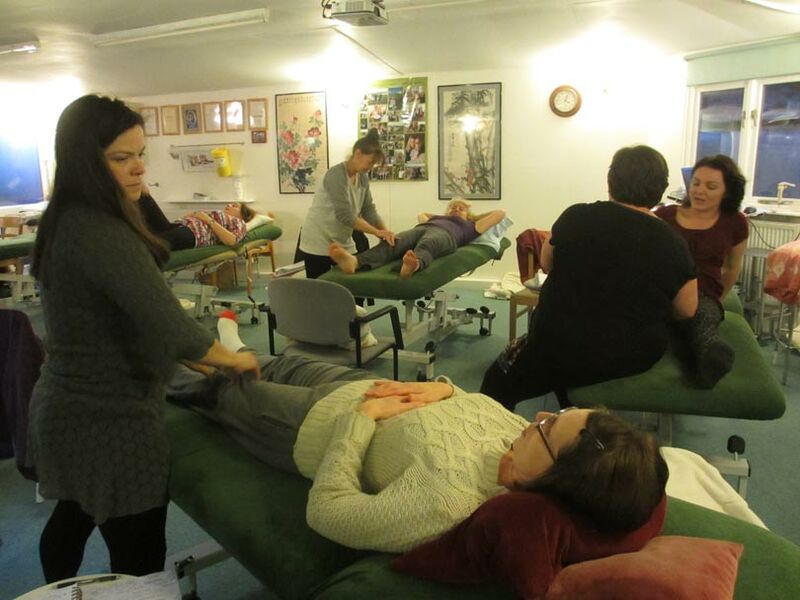 All points taught are relevant to the needs of the Tui Na practitioner at foundation level as well as for the acupuncture course. You will be taught the functions of the 100 acupressure/acupuncture points and how they are used by the Tui Na practitioner for treatment. Develop a high level of confidence to apply your knowledge and skills in a clinical setting. Other Fundamental level concepts of TCM. Zang-fu – the six Yin organs and the six Yang organs. 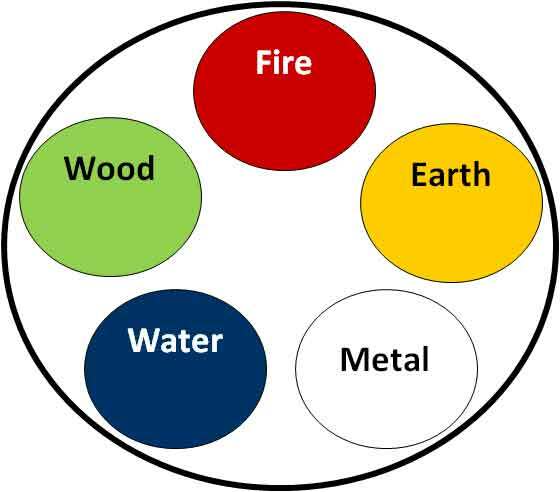 Energy patterns and energy flow in TCM. TCM diagnosis by perceptive listening, observing, asking questions, building rapport and empathy. Diagnosis of physical and emotional stress according to meridian theory. You will have a working understanding of TCM which includes Yin/Yang theory, the Vital Substances, the link between the Organs and Five Elements and the causes of disease. You will be able to use your TCM knowledge and hands on skills to carry out meaningful case studies and treatments. Maria Mercati’s whole body healthcare Tui Na. You will learn safe patient care and handling skills to use these Tui Na Chinese massage techniques effectively with constant, constructive feedback on all of the techniques demonstrated and practiced. You will learn all contra-indications to Tui Na Chinese massage. You will be taught how to incorporate and knead the appropriate acupressure/acupuncture points on the meridians for each of the different Tui Na routines below. You will be taught to give a whole body healthcare Tui Na Chinese massage to maintain health. You will learn to give a seated Tui Na routine on a chair or stool. The expensive massage chairs that are used by other on-site therapies are not required for Tui Na. This can also be used for on-site Tui Na therapy in offices and places of work. You will learn to massage the neck for relaxation and the release of stiff neck and headaches. Tui Na Chinese Massage treating Arms and Shoulders. You will learn to apply Tui Na to the shoulders, the arms and hands to relieve painful or frozen shoulder, tennis and golfers elbow and RSI and arthritic pain in the hands. You will learn to apply Tui Na to the back to stimulate Back Shu acupressure/ acupuncture points to reduce tension in the upper back and relieve lower back pain and sciatica. You will also learn to carry out Tui Na for the hips, back of legs in prone position to relieve tension and spasm in the hamstrings and calf muscles and relieve lower back pain and sciatica. Learn to apply Tui Na to the front of legs to improve leg mobility, relieve quadriceps pain and knee pain and with the joint manipulations treat stiff hip joints and relieve sciatica. You will be able to do Tui Na abdominal massage to boost energy, improve bowel function to relieve IBS, constipation, aid weight loss and benefit fertility. You will learn to give Tui Na face massage to reduce stress, enhance beauty, benefit sleep, relieve headaches, aching eyes and sinusitis. You will learn how to carry out appropriate case studies and treatments. To use each technique correctly and effectively to apply pressure accurately and in a way that will produce a good therapeutic outcome. To be able to combine techniques for the most effective treatment. To be able grade the use of each technique according to pressure, time and frequency so that it is safe and appropriate to the age, needs and condition of the patient. To be able to plan and carry out appropriate case studies and treatments. You will learn about professionalism, hygiene, ethics, code of conduct, keeping records, advertising, professional liability insurance and membership of Acupuncture-Acutherapy Council. 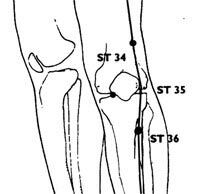 A written test covering acupressure/acupuncture point locations and functions and all the TCM theory listed above.